Toyota / Lexus / Scion vehicles used two different OBDII protocols through the years, so you may be wondering which set of protocol dependent XGauges are correct for your vehicle. 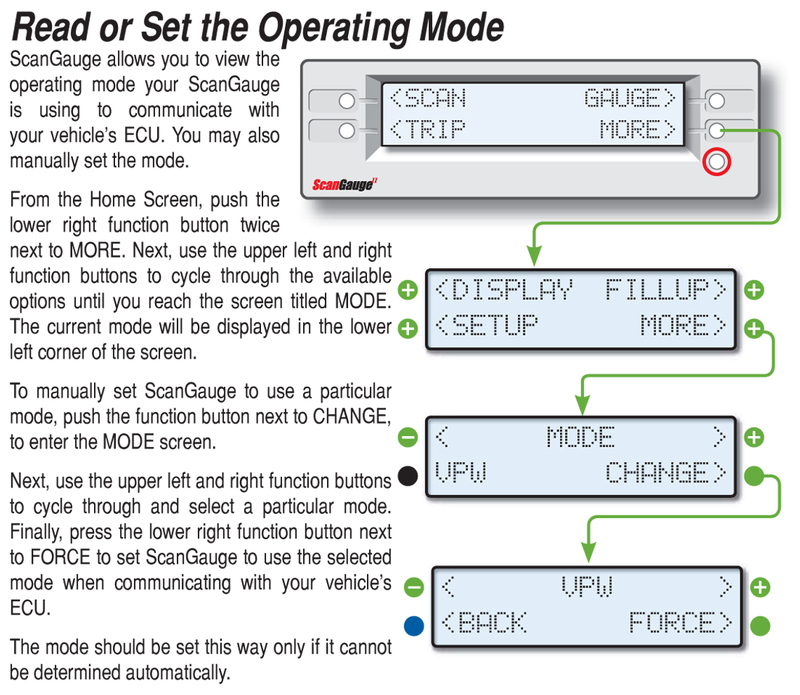 You can view what protocol your vehicle uses via the ScanGauge by following the instructions to the right. We’ve also put together an outline of what protocol your vehicle may use based on it’s model year. Select your vehicles model year below to see a list of what protocol your vehicle may use. Between 2003 and 2007 Toyota began rolling out the CAN protocol to their vehicles. Thus vehicles between 2003 – 2007 may use CANSF or the ISO protocol they typically used from 1996 – 2002. There are two possible sets of tire pressure & temperature XGauges. If the first set doesn't work, try the second. See compatibility list below. There are two possible sets of tire pressure XGauges. If the first set doesn't work, try the second. See compatibility list below.